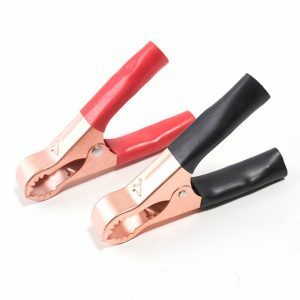 Pair of Copper plated Battery alligator clamps, rated 50A. 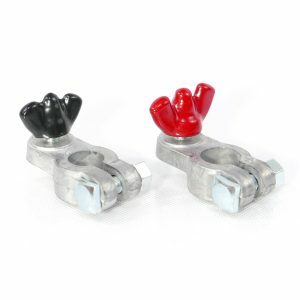 Pair of lead battery terminals with colour coded black and red wing nuts. 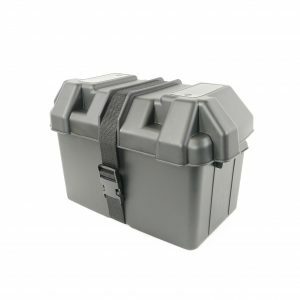 Tough and durable suitable for large Group 27M leisure batteries. 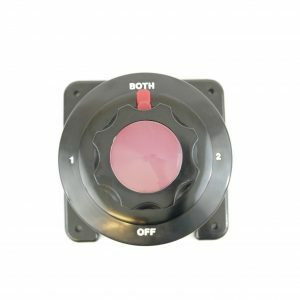 Marine grade heavy duty dual battery isolator and change-over switch. 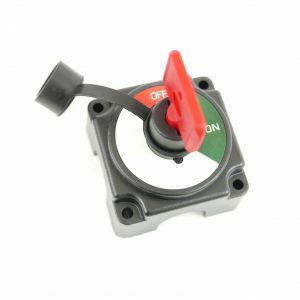 Rated 100A continuous at 12V. 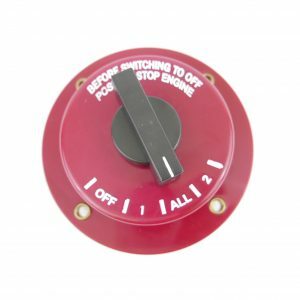 Marine grade heavy duty dual battery isolator and change-over switch. Rated 175A continuous at 12V, up to 300A intermittent. Tough and durable suitable for large Group 24M leisure batteries. A compact battery isolation switch with key. 250A cont. at 12V. 350A intermittent. Ignition Protected. 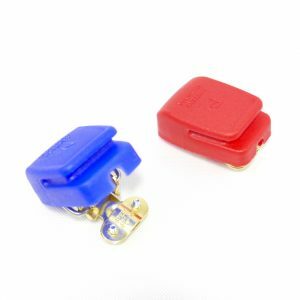 Pair of colour coded, quick release battery terminal clamps, for connecting accessories to leisure or car battery.